Knowledge: Map complex information and data in order to solve tasks such as intelligent recommendations and semantic search. Language: Allow your apps to process natural language with pre-built scripts, evaluate sentiment and learn how to recognise what users want. Speech: Convert spoken audio into text, use voice for verification or add speaker recognition to your app. 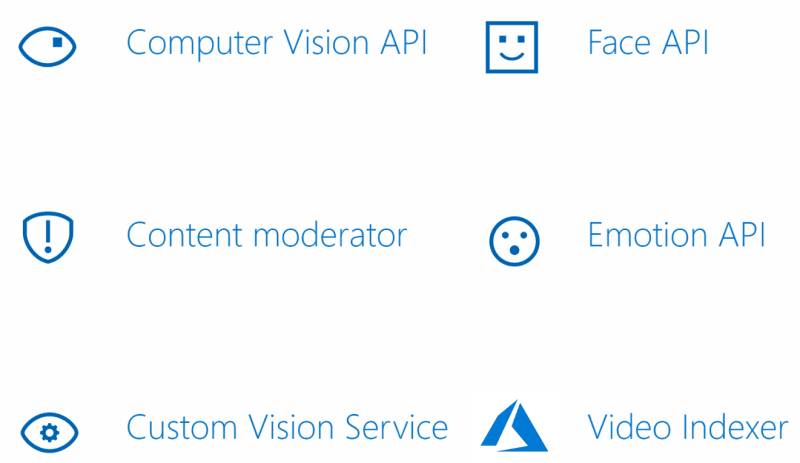 Video Indexer: Can wire together the Custom Vision Service for person recognition, speech analysis, emotion analysis, extract keywords – incredible stuff! Translation: Translator is incredible; real time speech translation across 60 languages. There’s community created support for various other languages – including Klingon! 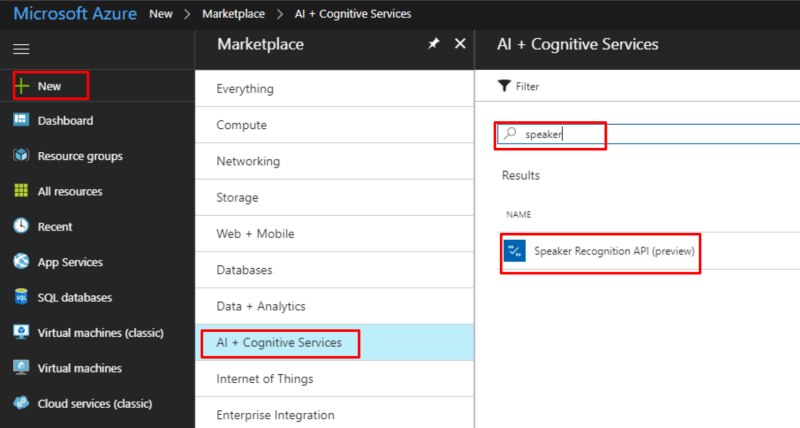 Knowledge, Language, and Search cover things like QnA Maker, Bing-* (loads of Bing APIs), and LUIS – the language understanding and intelligence service, used a lot when making chatbots. 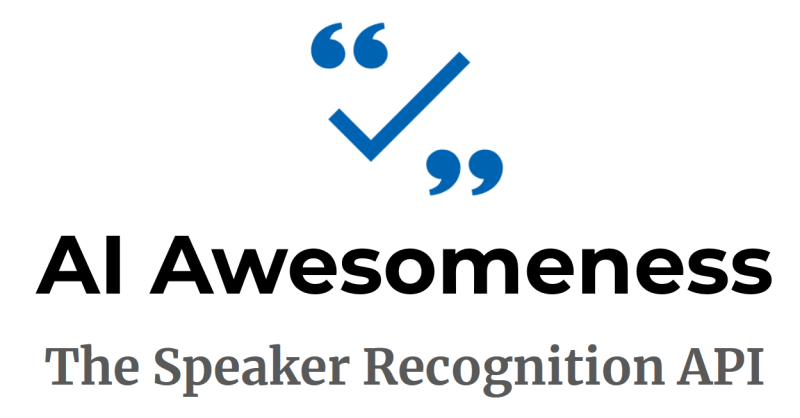 Which brings us on to the Speaker Recognition API; this is made up of two parts – verification and identification. The verification API is intended to be used as a type of login or authentication; just by talking a key phrase to your Cognitive Services enhanced app you can, with a degree of confidence, verify the user is who they (literally) say they are. Each user is required to “enrol” by repeating a known phrase three times, clearly enough for the API to have a high confidence for that voiceprint – that is, the data representation of an audio recording. Potentially being able to authenticate a user via a passphrase – perhaps treating this as a form of 2FA (two factor authentication) – could be an interesting application, especially from an accessibilty perspective. 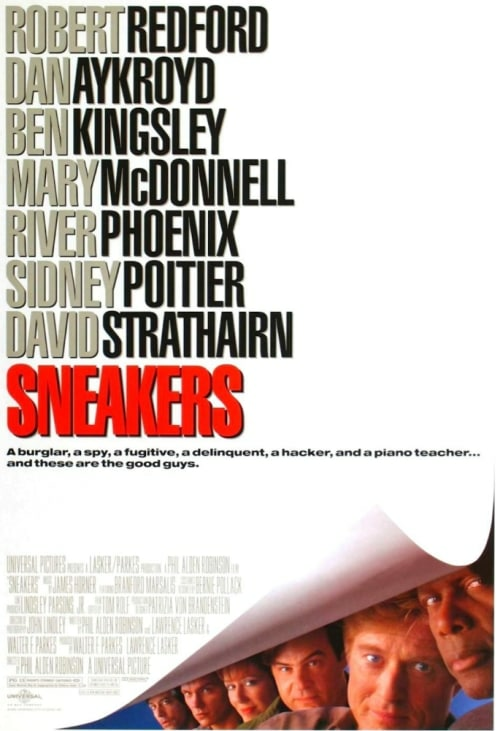 This is from the fantastic hacker movie from the 90s, Sneakers! 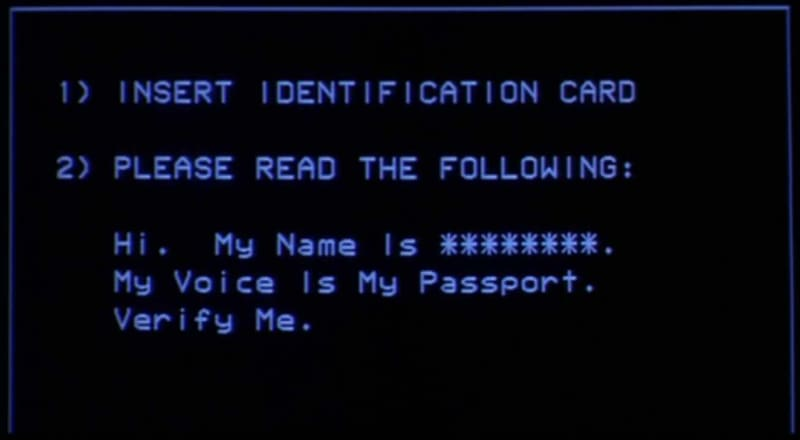 Unfortunately this particular phrase is used in the movie to show how unsecure voice verification is! Hopefully that’s just cinema and real life is more secure… right? I love this film. Dan Ackroyd, Sidney Poitier, Robert Redford, Ben Kingsley, River Pheonix, hacking old school security systems! What’s not to love? Now we haven’t done anything particularly complex or clever yet; we just called an endpoint and got a response containing a guid. What we need to do next is associate that guid with a voiceprint. 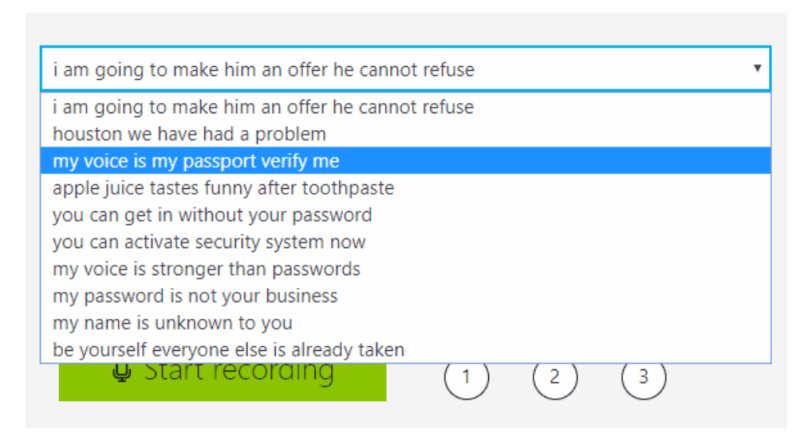 Only a specific set of phrases are allowed by the verification service – you can’t just ask people to repeat a random sentence like “Oh yeah, you just have to say the following three times: ‘Robin is my favourite person ever and I’ll buy him coffee every day for a year and give him a promotion’, ok?”. Unfortunately. "phrase": "i am going to make him an offer he cannot refuse"
"phrase": "houston we have had a problem"
"phrase": "my voice is my passport verify me"
"phrase": "apple juice tastes funny after toothpaste"
"phrase": "you can get in without your password"
"phrase": "you can activate security system now"
"phrase": "my voice is stronger than passwords"
"phrase": "my password is not your business"
"phrase": "my name is unknown to you"
"phrase": "be yourself everyone else is already taken"
Oooh, cool. Now we have the ID of a freshly created profile and a list of supported verification phrases. What’s next?? 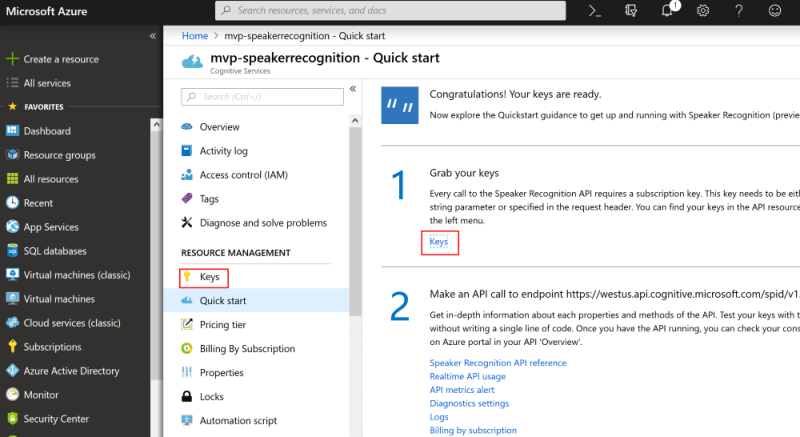 Now that we have a new profile ID and we know what phrases are allowed, next we have to record the audio in a particular format and send that to the “enroll” endpoint, to associate the voiceprint with our profile ID. This process isn’t as easy as the others: the recording must be repeated 3 times successfully for a given profile. + profileId // NOW we can finally use the profile ID from the first request! Notice the blob in the request.send(blob) call? That’s the audio recorded via the browser, already encoded in the correct format; i.e. WAV container, mono (1 channel), 16K rate, 16 bit sample format. The details of how this was achieved are out of the scope of this article, since they’re specific to the Web Audio API and a custom version of the incredible RecorderJS, which can be found within my demo solution over on github. I honestly can’t remember all the changes I had to make to get this working as it was a lot of trial and error! Notice remainingEnrollments in the response? This is where we check to see if the enrollment has completed; if the audio wasn’t quite right (remember the checklist) then that number won’t go down. Once it reaches zero then the enrollment has successfully completed! Notice enrollmentStatus is now “Enrolled”. Now that we have a voiceprint associated with a profile, let’s try to verify that profile by sending another chunk of audio. You must repeat the same verification phrase that was used when setting up the profile for the verification to work; or you can try to fool it by having someone else do an impression of you, or say a different phrase yourself to test it. As you can see, it’s really really easy to use this API; just sign up, record some audio, and call a few endpoints. How secure it actually is remains to be seen or tested, but it’s certainly very interesting and promising! Then you can tap the “Create Verification Profile” button, watch the responses come through, repeat (i.e., tap that same button again) until you get “Enrollment complete” in the response, and then tap the “Verify” button to see if you can be recognised or fool the system! If you try out the [demo](rposbo.github.io/speaker-recognition-api/ and find the profiles aren’t being verified very well, open a your browser’s debug console and type BurnItAll('verification') to delete all verification profiles associated with that cognitive services account; only do this when testing and playing around as it really will delete all profile voiceprints for the specified subscription key!